While Democrats and Republicans both want to blunt the looming rollback of a program that helps disabled and low-income elderly in Connecticut pay for medical care, their plans will still cut off tens of thousands who’ve come to rely on the program. Juliet Meyer, 68, is one of them. She’s a retired concierge who lives in Hartford and suffers from a number of severe medical problems. They include a brain injury that has compromised her vision, suffered when she was kicked by a horse while volunteering as an animal rights advocate nearly 10 years ago. Meyer is on Medicare, the federal health care plan for older Americans. Because she has a modest Social Security income of about $2,041 a month, she qualifies for the Medicare Savings Program, which provides for low-income and disabled Medicare recipients by giving then some benefits of the Medicaid program, a joint federal-state health plan for the poor. The Medicare Savings Program pays for Meyer’s “Part B” premium costs — about $134 a month — provides her with generous prescription drug benefits and pays most of her co-payments and deductibles when she visits a doctor or is hospitalized. “It’s a godsend,” Meyer said. But as of July 1, Meyer and about 113,000 other Connecticut residents will no longer be eligible for the program, a consequence of a bipartisan budget the General Assembly approved late last year that sought to trim and eliminate programs to save money. The cost of the Medicare Savings Program is split, 50-50, between the state and federal government. In competing budgets released last week, state Republicans and Democrats restored some of the cut to the program, but not all of it. Advocates for the elderly and disabled are pressing state lawmakers to do more. They want eligibility for the program to remain as it is now, with no changes that would eliminate aid to Meyer and thousands of others in Connecticut. Sheldon V. Toubman, an attorney with the New Haven Legal Assistance Association, said the state could make use of the windfall it has received in larger-than-expected tax revenues to fully restore the Medicare Savings Program. “What would it say about us as a state if we would insist on stockpiling over a billion dollars, because the legislature adopted an unwise “volatility cap” with no public hearings, rather than caring for the needy among us?” Toubman asked. The volatility cap limits the amount of “volatile” tax payments that can be used to balance the budget. It was established to force the state to reserve some money when the income tax performs well. Currently, elderly and disabled Medicare beneficiaries whose incomes are below 246 percent of the federal poverty level, or about $29,874 a year, are eligible for Medicare Savings Program subsidies for Part B premiums, which cover doctor visits, outpatient hospital care and lab tests. People with lower incomes receive even more help. Those earning less than 211 percent of the federal poverty level, or $25,624 this year, also receive subsidies for Medicare’s co-payments, deductibles and prescription drug costs. Those out-of-pocket costs could easily run thousands of dollars a year, especially if an individual is hospitalized. But as of July 1, eligibility for those who receive all benefits will be capped at 100 percent of the federal poverty level, or $12,140. Others would lose all other help, but continue to receive a subsidy to pay for their Medicare Part B premium. To maintain this benefit an individual’s annual income could not exceed 135 percent of the federal poverty level, or about $16,380. Democrats want to raise the income limit for the most generous benefits to 170 percent of the federal poverty level. The Republican plan is more generous and would raise the limit to 211 percent. Advocates for the program say the Democratic budget proposal would strip coverage from nearly 70,000 Connecticut residents, while about 38,000 would lose benefits under the GOP plan. State Rep. Toni Walker, D-New Haven, Democratic head of the Appropriations Committee, did not respond to inquiries seeking an explanation for the level of funding they proposed. In any event, the proposals by both parties are considered only the first shots in the battle over a final budget, and the fate of the program is up in the air even as July 1, the day thousands will lose benefits, gets closer. Brian Naylor, an independent-living advocate who works for the Centers for Independent Living, says uncertainty over the future of the Medicare Savings Program has touched off a wave of anxiety among those who depend on it. “All of the sudden, the legs have been cut off from under them,” he said. Those who favor a rollback of the plan point out that most states have had tighter eligibility rules than Connecticut. In Massachusetts – and many other states –eligibility for the most generous benefits are capped at 100 percent of the federal poverty level and for the subsidy of Part B premiums only at 120 percent of the federal poverty level. “It was, ‘Look, we’ve been generous, let’s just cut it,’” said Naylor. To Kevin Brophy, the director of elder law for Connecticut Legal Services, the argument that Connecticut has been more generous than other states rings hollow. That’s because Connecticut has had a history of state programs, like ConnPACE, that have been phased out but once helped pay out-of-pocket costs for the elderly and disabled. “The state has a commitment to help,” he said. “They are barely making ends meet,” he said of Medicare Savings Program beneficiaries. 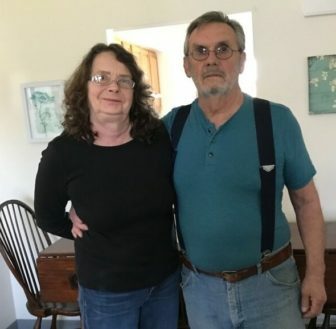 Rhonda and Richard Harbour, who live in Old Saybrook, say they don’t know what they will do if they lose their benefits. “To go back would be an absolute disaster,” Rhonda Harbour said. She is a 68-year-old cancer survivor who has a number of health problems. So does her 76-year-old husband. “This week my husband and I have had four doctor appointments,” she said. The couple lives on Social Security income of about $2,376 a month and has a monthly mortgage of $1,069. The Medicare Savings Program has helped keep the couple financially afloat. Lawmakers who voted to restrict the program “should be ashamed of themselves,” Rhonda Harbour says. Originally, lawmakers planned to roll back eligibility for the Medicare Savings Program on Jan. 1. 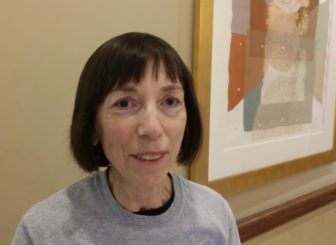 But an outcry from Connecticut’s seniors and the state’s disabled community prompted them to postpone the cuts until July 1. Melvin Attenberg hopes the state’s legislators vote to keep the program that is helping him get care for a number of health problems. Attenberg, 75, is a former Vietnam-era veteran who lives in a mobile home park in Southbury. He lives on Social Security income of about $1,200 a month. The Medicare Savings Program provides him with comprehensive prescription coverage and help with out-of-pocket costs for medical treatment of a severe back injury he suffered as a physician’s assistant carrying a patient. “If the program ends, I’m one of those people who would really be in dire straits,” he said.